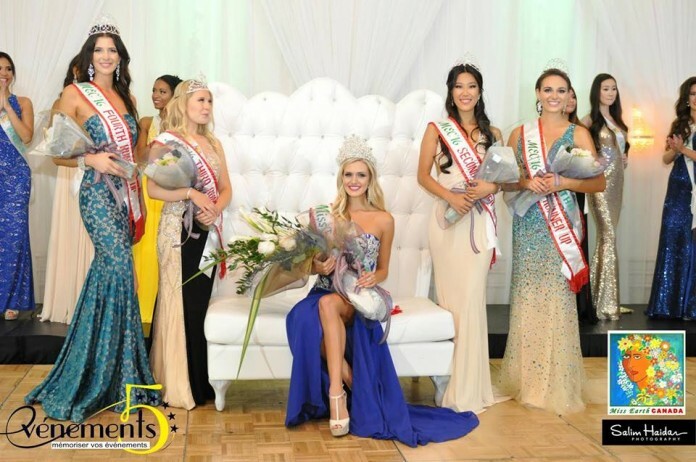 Tamara Jemuovic was crowned as the winner of Miss Earth Canada 2016 during the finals held last night. The pageant finale took place at the La Plaza Salles de Reception in Montréal. She is 22 years old and hails from Toronto. Tamara Jemuovic stands 5’9″ and she will now represent her country in Miss Earth 2016 later this year. Tamara previously competed in Miss World Canada 2013. During the contest, Tamara Jemuovic also won Best in Swimwear and Tosca Style Award. Samantha Fraughton (Fort Saskatchewan, Alberta) was crowned as first runner-up and she also managed to bag the Best in Evening Gown award. Dasol Lee (Montreal, Quebec) was crowned as second runner-up. Jasmine Herrera (Guelph, Ontario) and Natalie Carriere (Timmins, Ontario) were crowned as third and fourth runners-up, respectively. Canada’s standards have really diminished. The girl is truly ugly. I find this woman to be incredibly fake. She’s an unnatural blonde with way too much make up that only expressed any interest or concern about the environment on her social media once she began competing for the crown. It’s a shame to have someone like her represent our country and it wasn’t surprising to see her go after the very first cut.